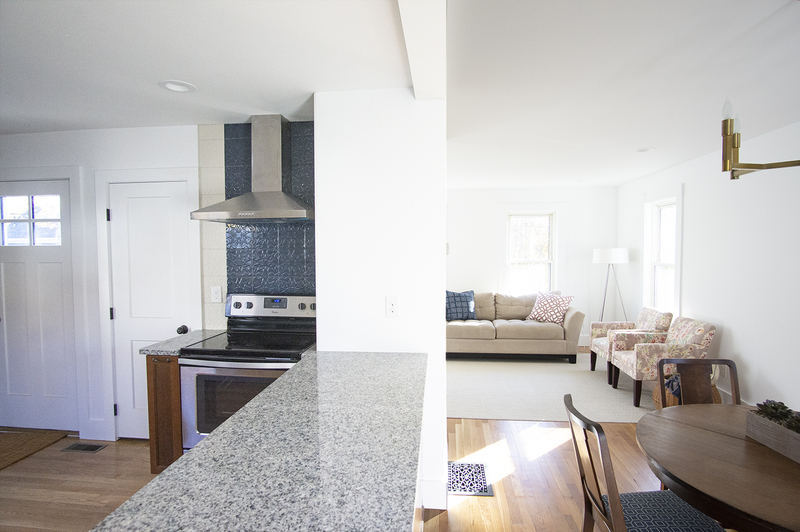 Cole the Flip House: Before and After! 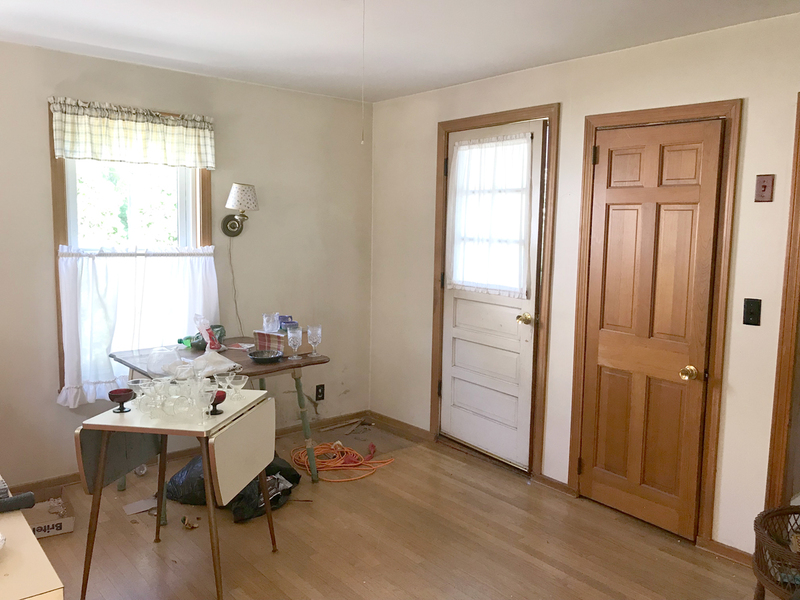 I hope you enjoy these weekly updates as I navigate through the business of flipping houses one house at a time!! If you’re new here (Hello!!!) or just enjoy walking down memory lane, you can see my 7 previous flip houses here. Thanks for coming along for the ride as I jump into flip #8!!! Check out previous posts about this house here and follow along on my insta-stories for more behind the scenes goodness! This post may contain affiliate links. For more information, see my disclosures here. 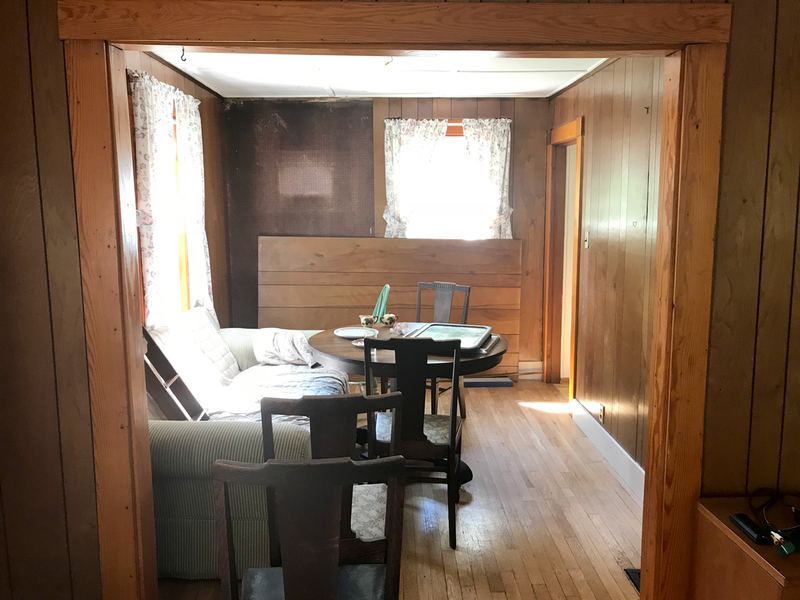 I know you've been eagerly waiting to see the "afters" and although I know some of you have cheated and found the house listing, let's do this! It's going to be a long post so I can fit it all in, so have a seat, make yourself comfy and stay a while!! 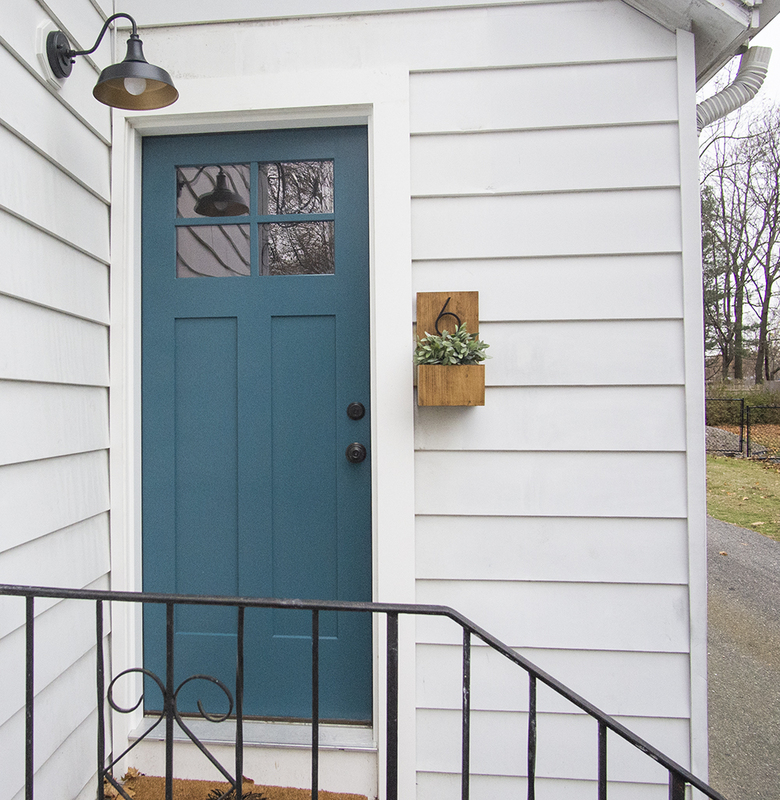 While we focused the budget inside, we couldn't ignore the exterior all together. When we bought the house 15 weeks ago, he was dwarfed behind a forest of overgrown shrubbery. 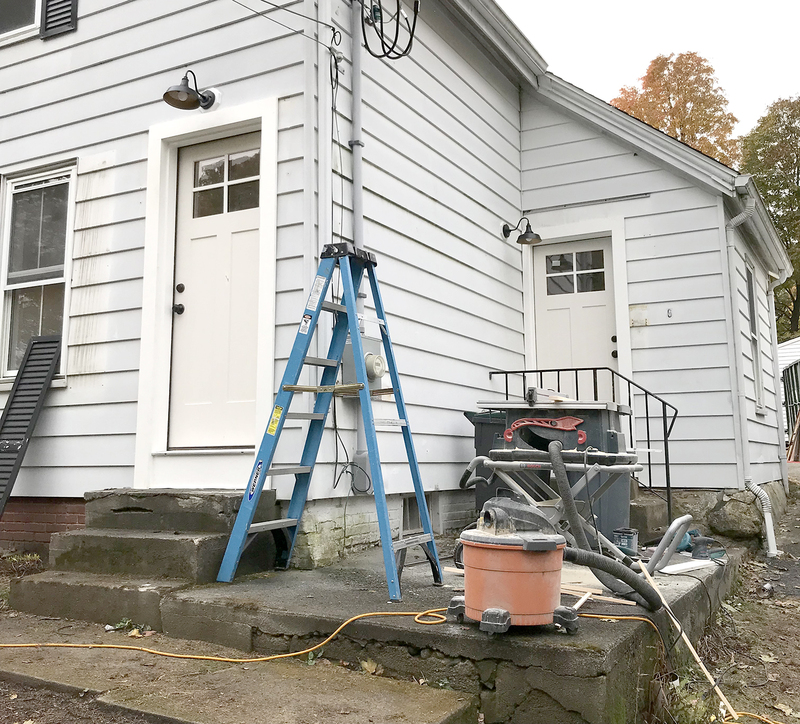 Aside from landscaping, the exterior got new shutters (which needed to be larger than the previous to cover holes.....), new exterior doors with a great paint color, new lights, and some concrete patching. 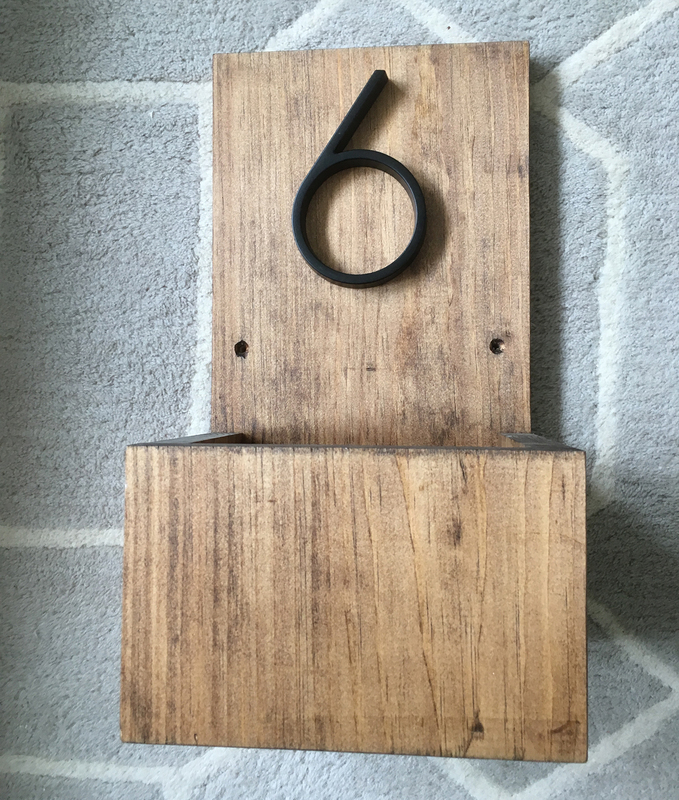 Handy dad jumped in to make this adorable house number planter to add a little character to the main entry. Inside this house is really where the magic happened. 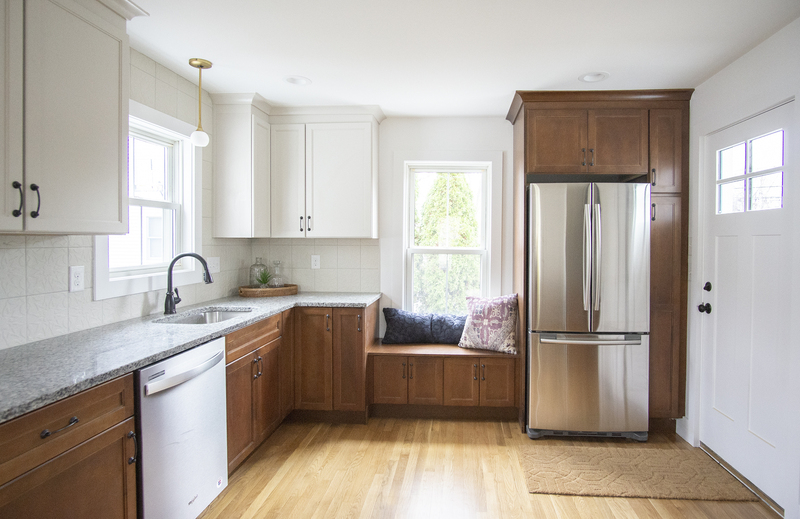 Normally, I like to save the best for last, but I'm going to shake it up a bit this time and walk through the house like you would when in person, so that means that the first room you get to see is the KITCHEN!!! EEE! But first, memory lane. 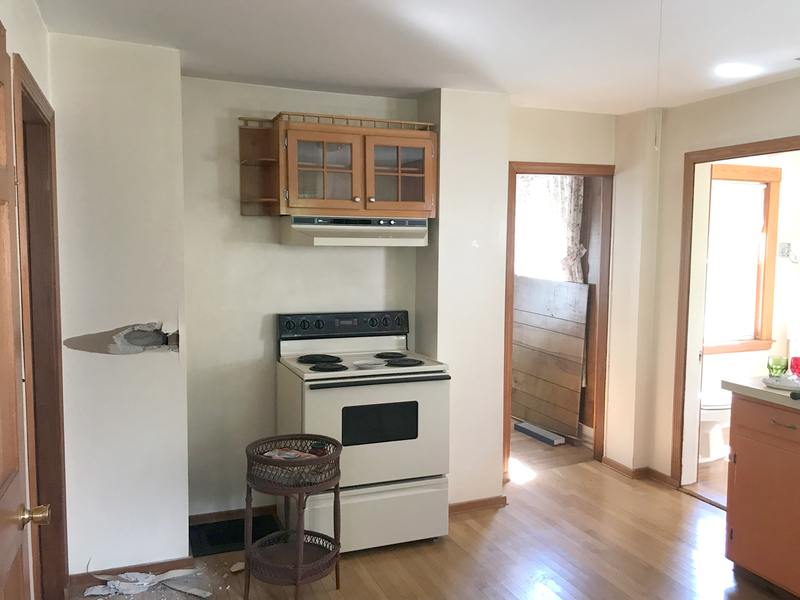 So much potential in this "before" kitchen, but that's about it. 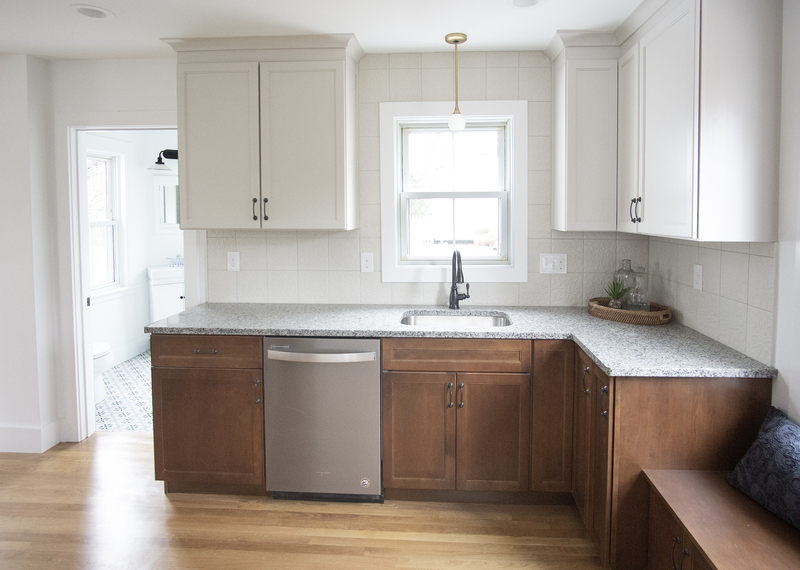 I KNEW this kitchen could be the stunner of the home, so I needed to make everyone else see what I could! 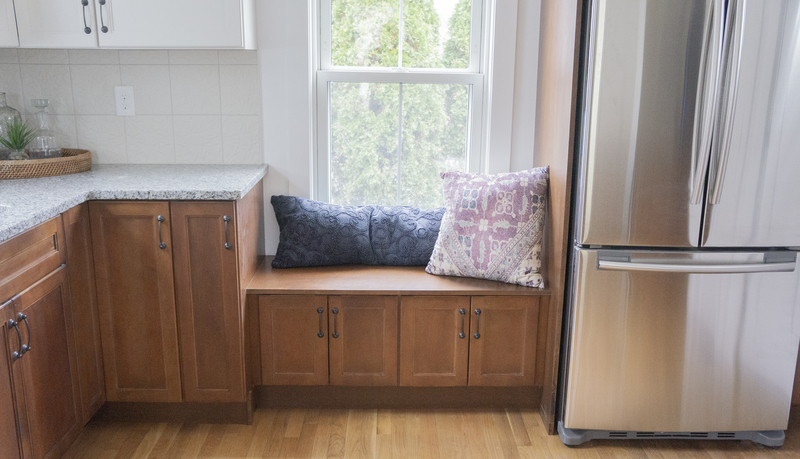 I maximized cabinetry, took down the wall between the kitchen and dining rooms, closed off a doorway to the living room, and shuffled the stove location. 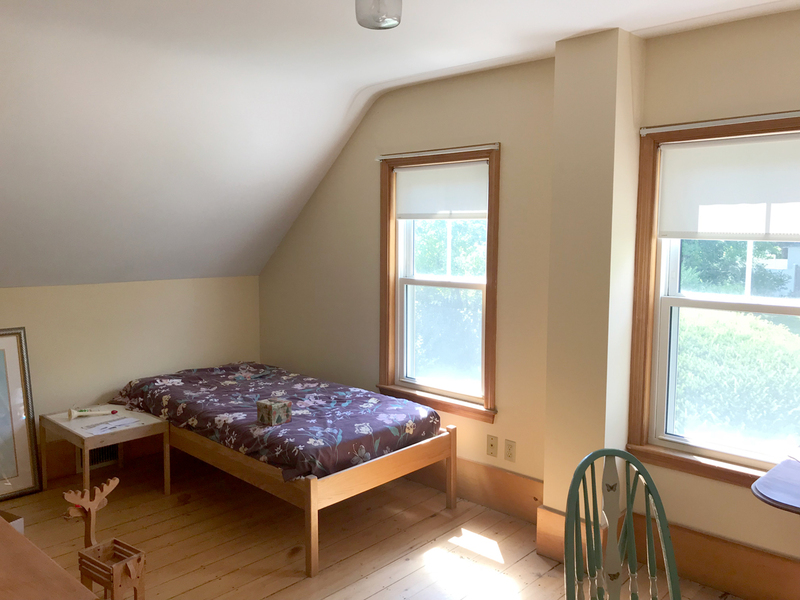 The MOST fantastic thing about this house now is the connection of the spaces on the first floor. 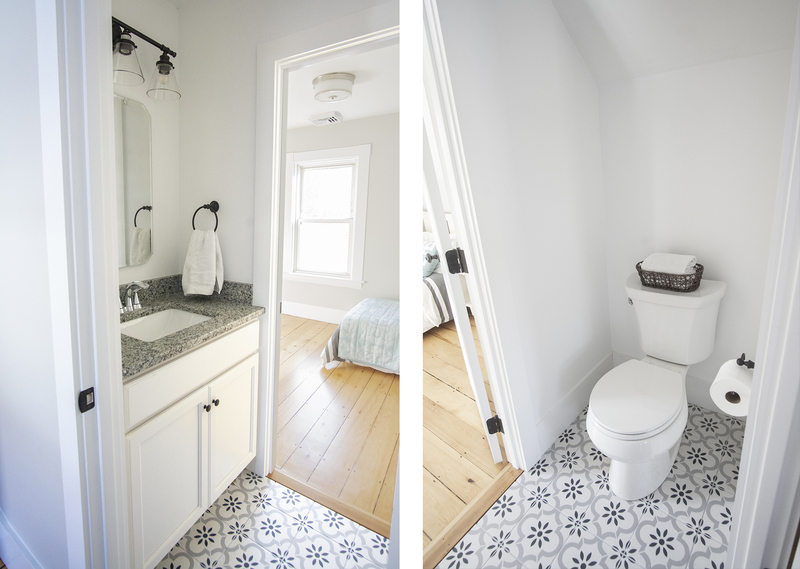 Before we head into the dining room, we need to visit the main bathroom which is off the kitchen. It wasn't the worst I had to deal with, but it could be SO much better! 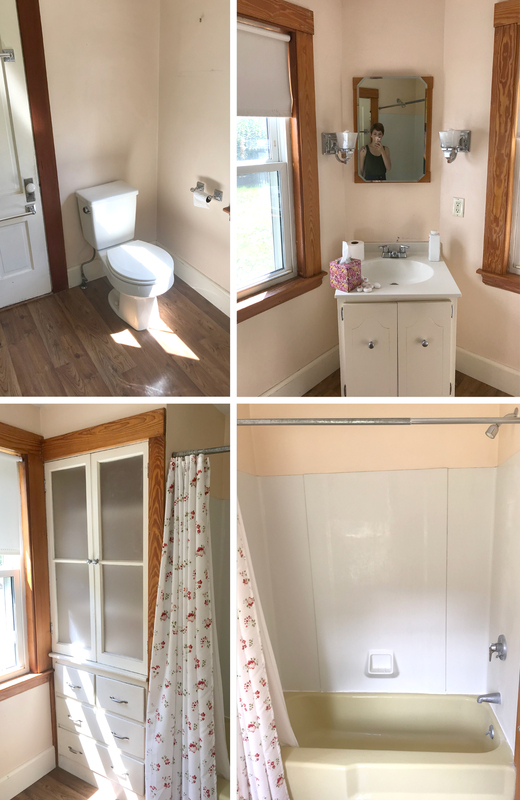 This new bright, clean bathroom comes complete with original built-in, antique medicine cabinet, and new everything else. Heading back out into the dining room, it originally was dark and closed off. The below view is the view from the living room with the kitchen through the doorway on the right. The same view as the first "after" pic down below. 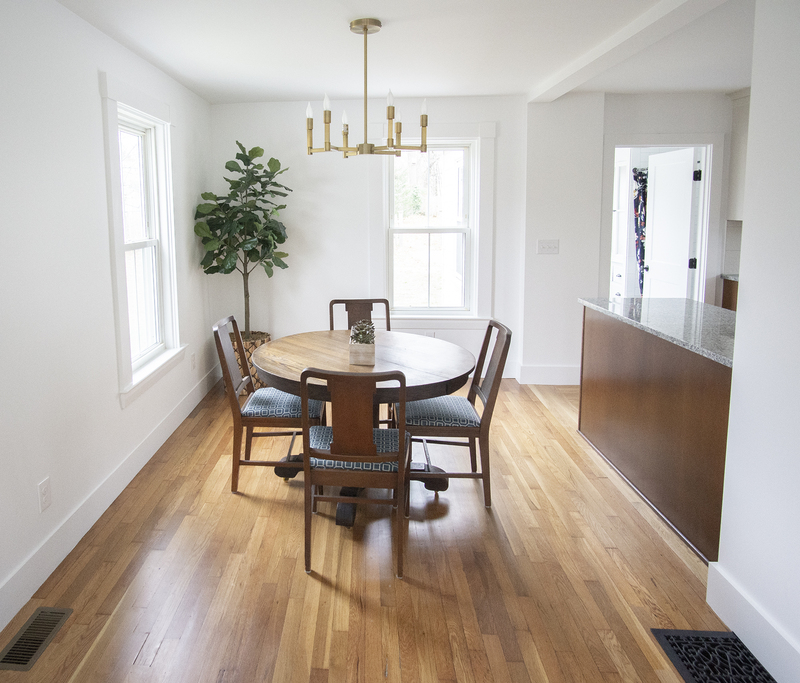 Now open and spacious, I can really see holidays being hosted here whether with family or friends. It could easily fit a long, expandable table! 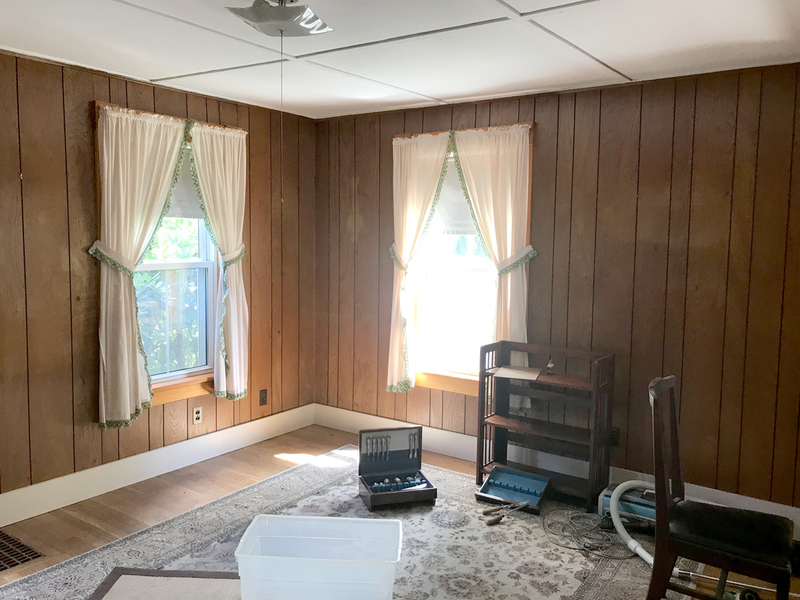 The living room brightened up the second we took down the old paneling, but this room almost feels unrecognizable. 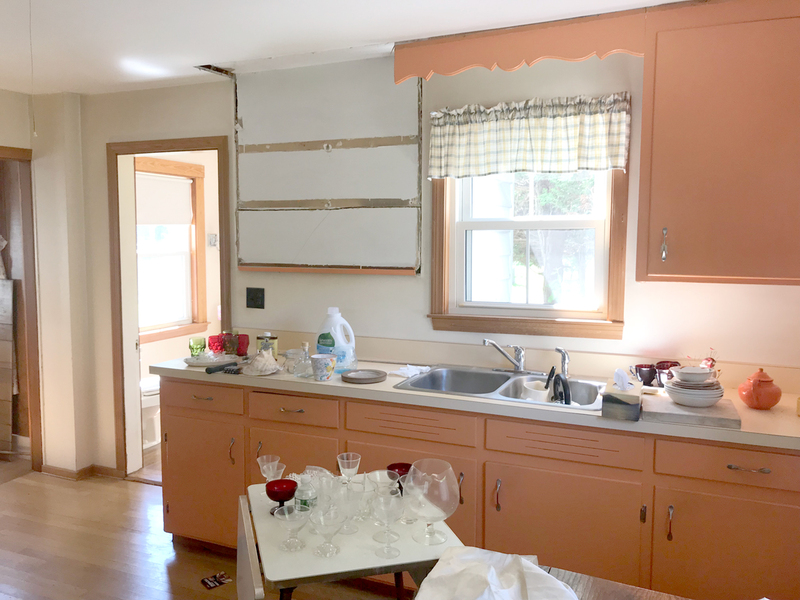 The old pass-through to the kitchen got closed up to allow space for a wall-mounted tv. 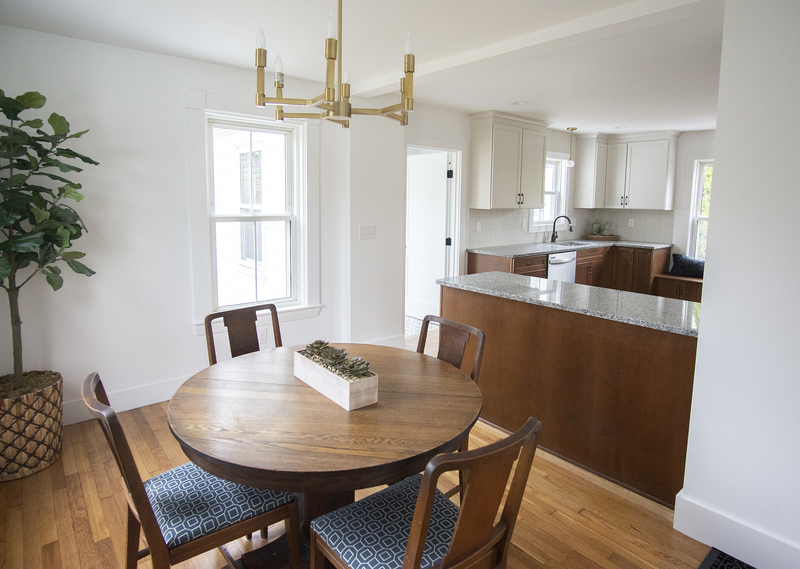 The bigger difference here is with the stairs opened up and the dining room now open to the kitchen, the entire floor feels open and connected. 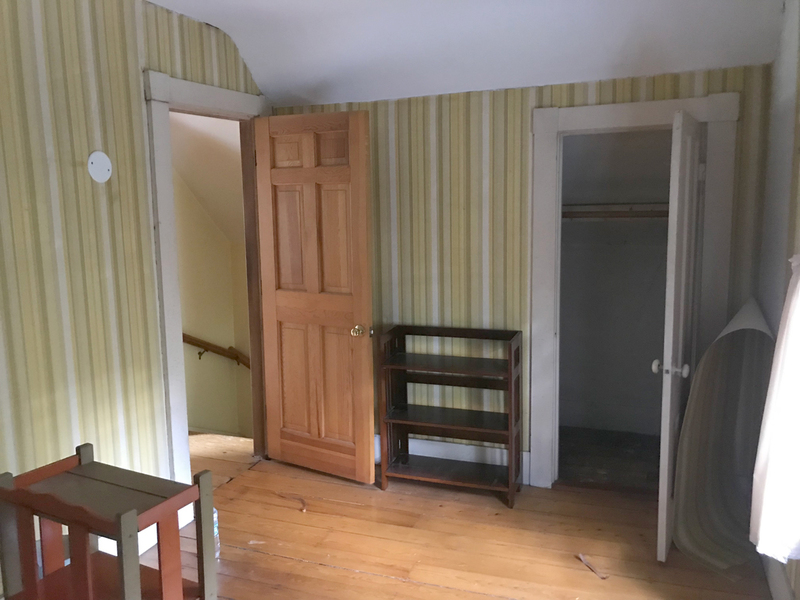 Heading upstairs to the 2 bedrooms, the rooms themselves didn't undergo huge transformations, but we all know what miracles paint and details can be! 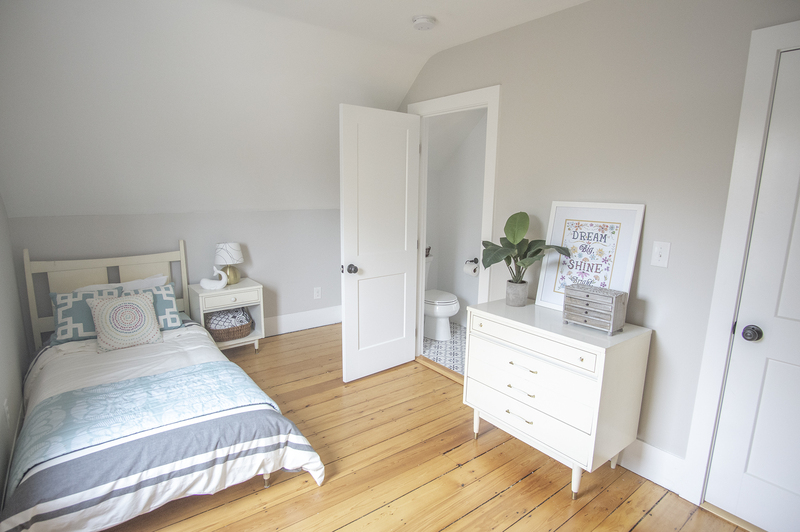 The smaller bedroom is worlds brighter with a new door into the *NEW* powder room. 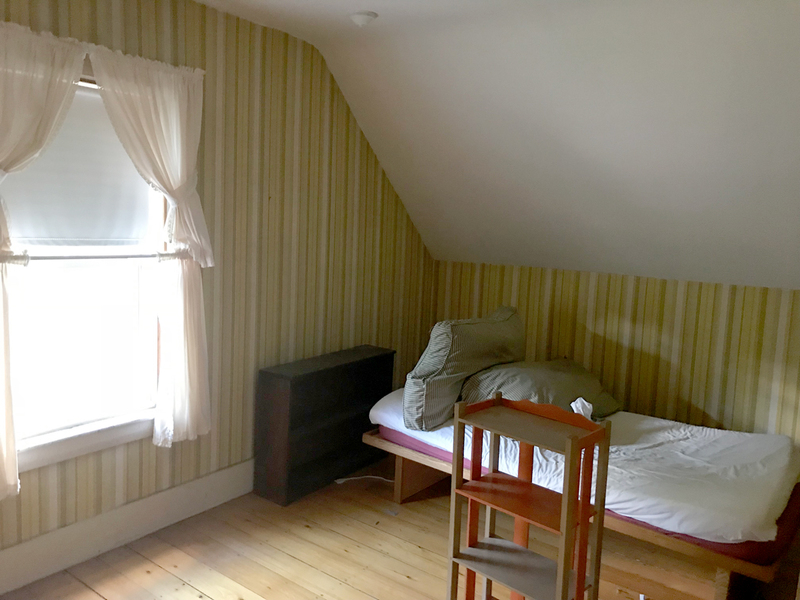 The original master bedroom didn't seem very masterly to start with. I definitely rectified that, however, putting almost 12 feet of closets along the wall. 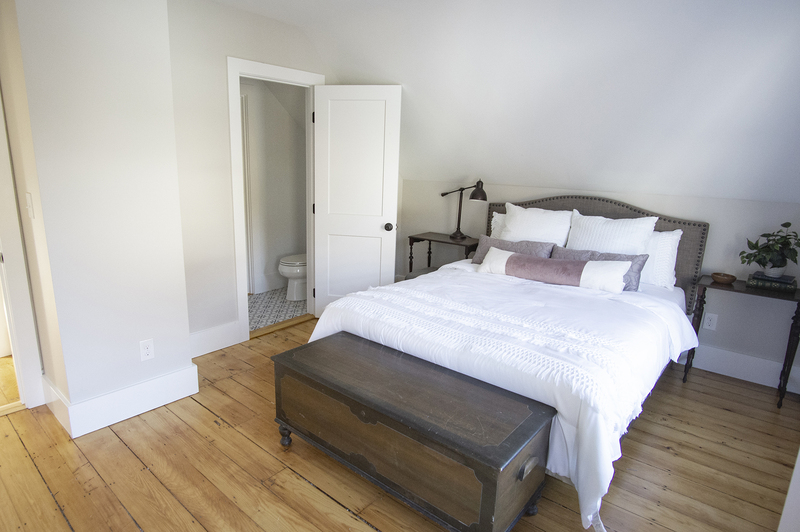 Just staging it with a queen size bed and nightstands makes it feel so much cozier! 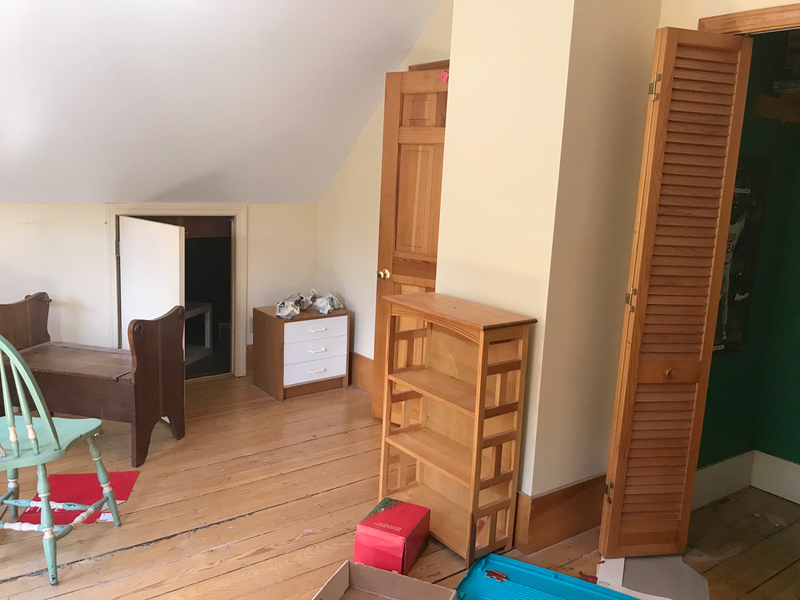 The biggest change upstairs was definitely in this closet. Which is no longer a closet. 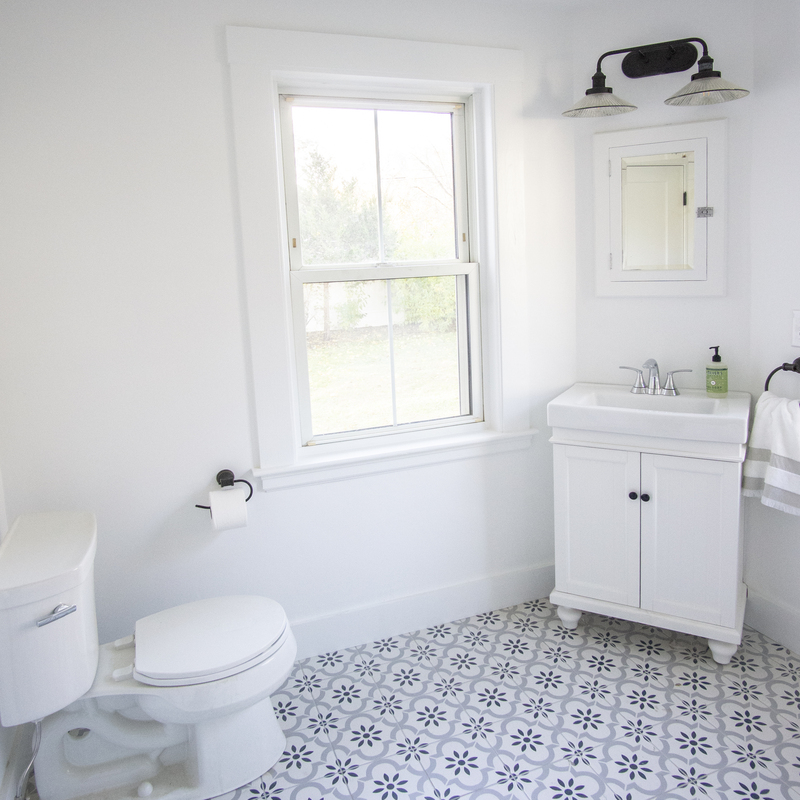 The space was perfect for a small jack and jill powder room! 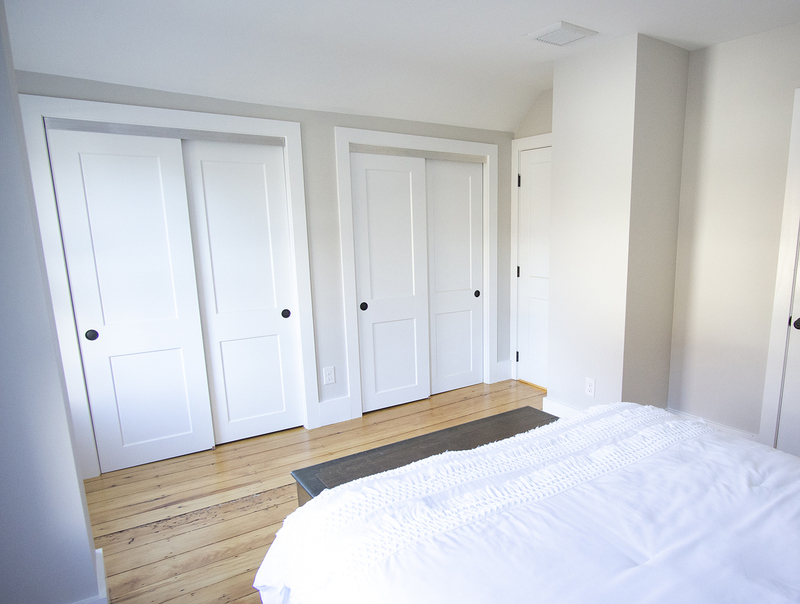 The walls didn't move at all to allow for this space, just some new doorways. We were lucky that the footprint was already here! So what do you think?? 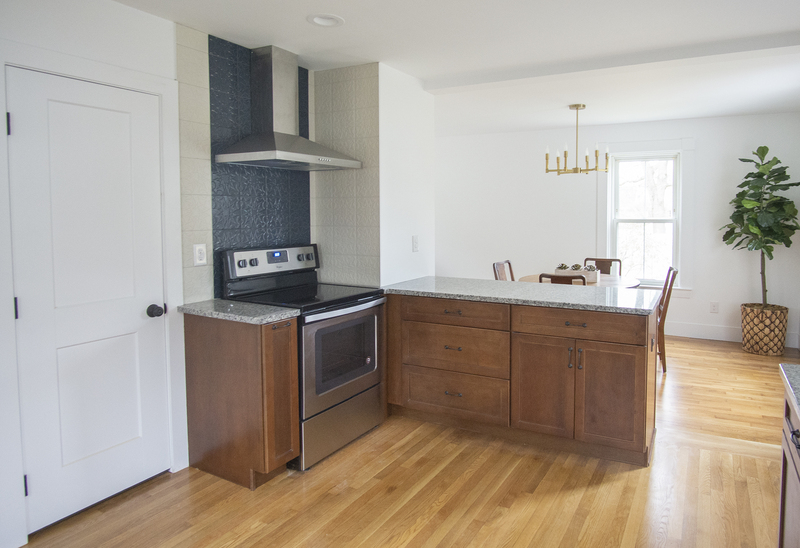 Did you see the potential in this house 15 weeks ago? The key to this entire house was MAXIMIZING. 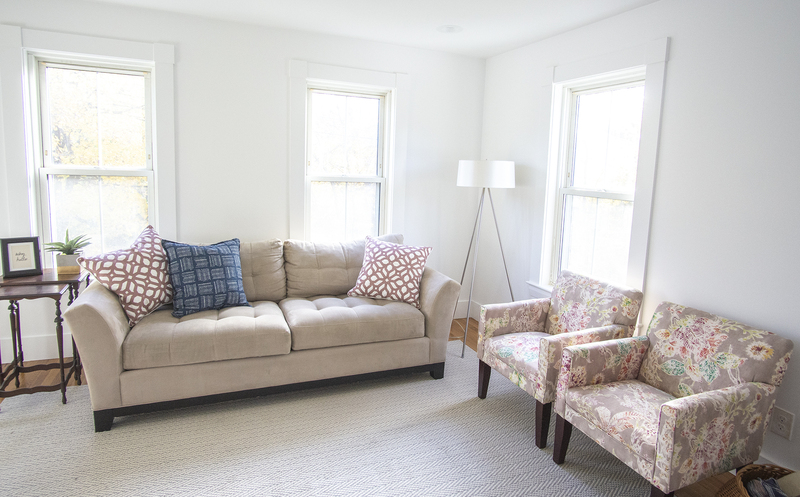 Maximizing the usable space, maximizing it's potential, and maximizing our budget! We're hosting 2 more open houses this weekend, Saturday and Sunday from 12-1 so if you're in the market, message me for the info!!! Have an amazing weekend and Thanksgiving week! Cole is LISTED!!!!!!!!!!!!!!!!!!!!!!! 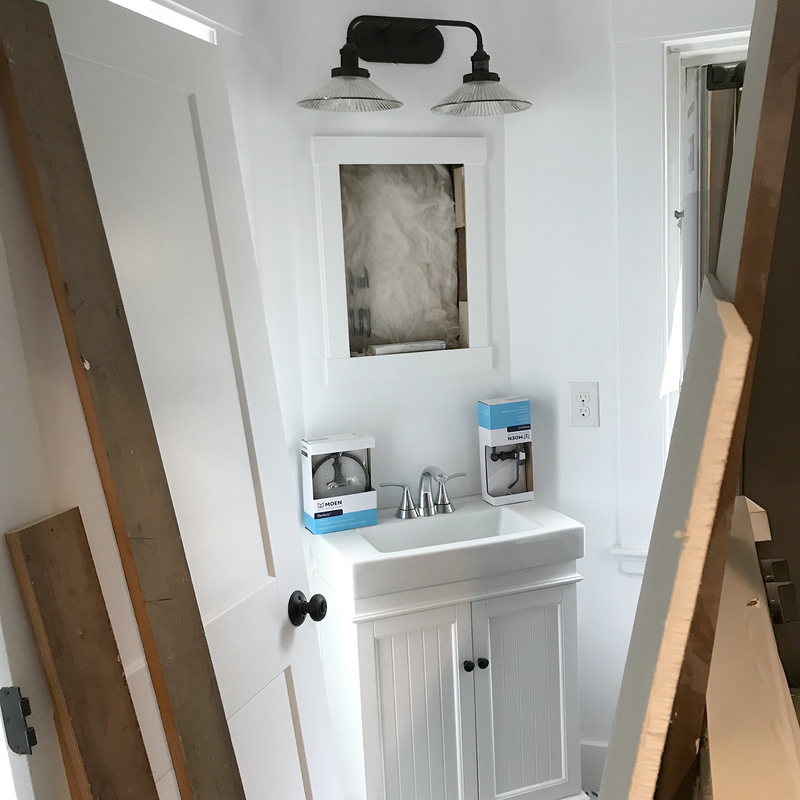 And I'm just going to tease you this week because we still have a few little details that need buttoning up before I take my final "after" pics to show you. 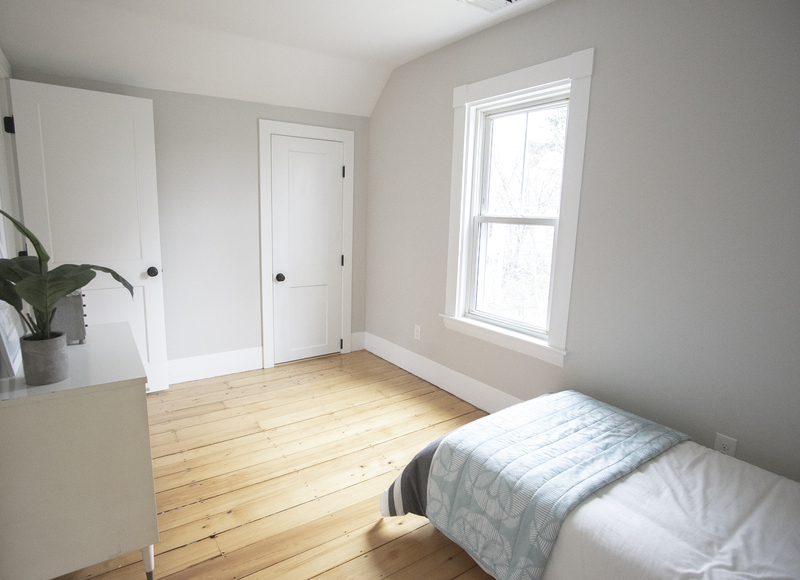 I do have some pics that I used for the listing that I'll be sharing today, though. 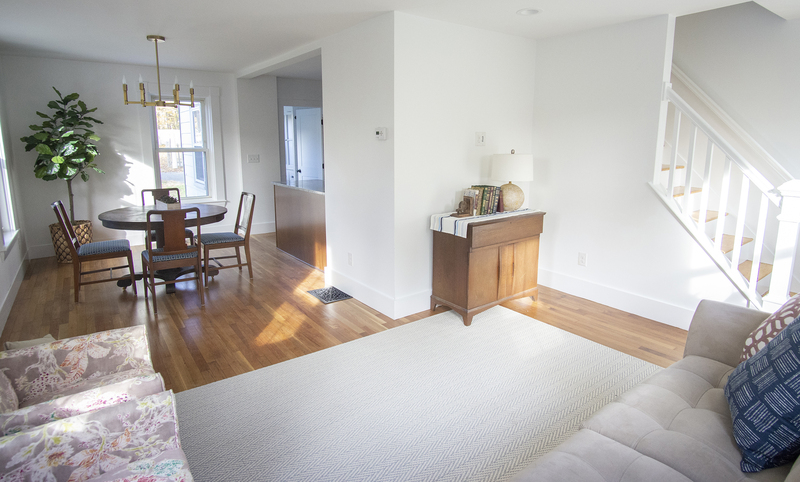 First of all, I don't want to spoil the "after" by posting the real estate listing, so if you're interested in a fully remodeled, bright and open antique home in Natick, MA, please reach out to Hubby/the listing agent: Brian Goodman, Realtor. 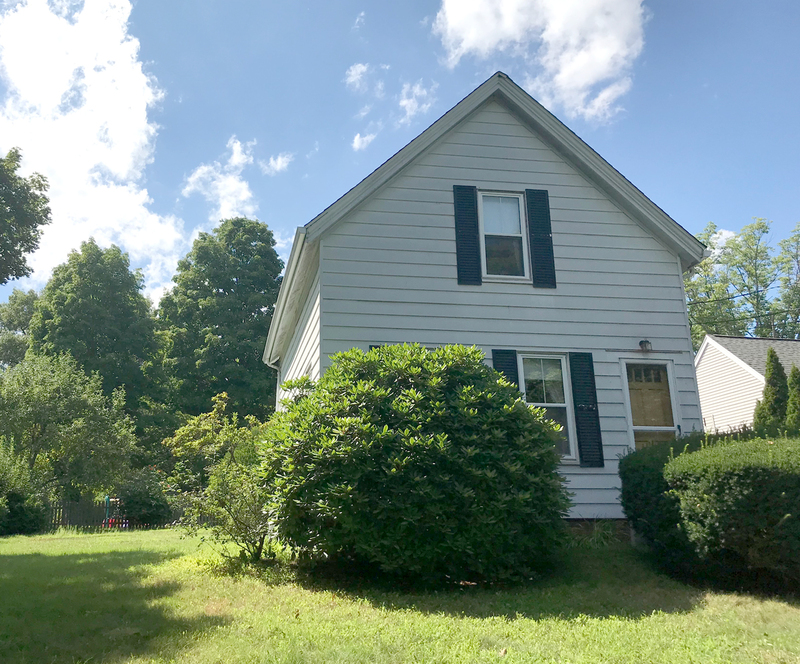 Some quick stats about the house: 900sf totally maximized, 1.5 bath, 2 bedrooms, forced hot air with a new, efficient furnace, AC, with over 1/4 acre lot just over a mile from the commuter rail to Boston and 1/4 mile to rt 9. 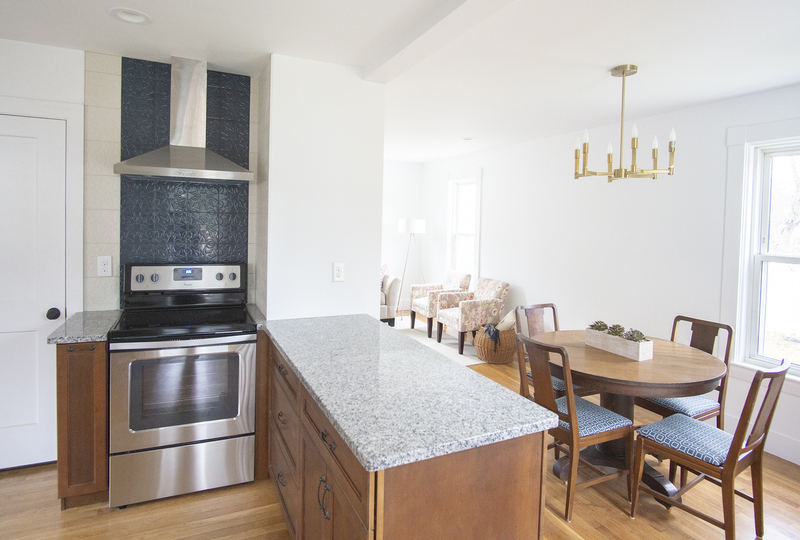 Open houses this weekend: Saturday 11/10, 12:30 PM - 2:00 PM, and Sunday 11/11, 11:00 AM - 12:30 PM. Phew. 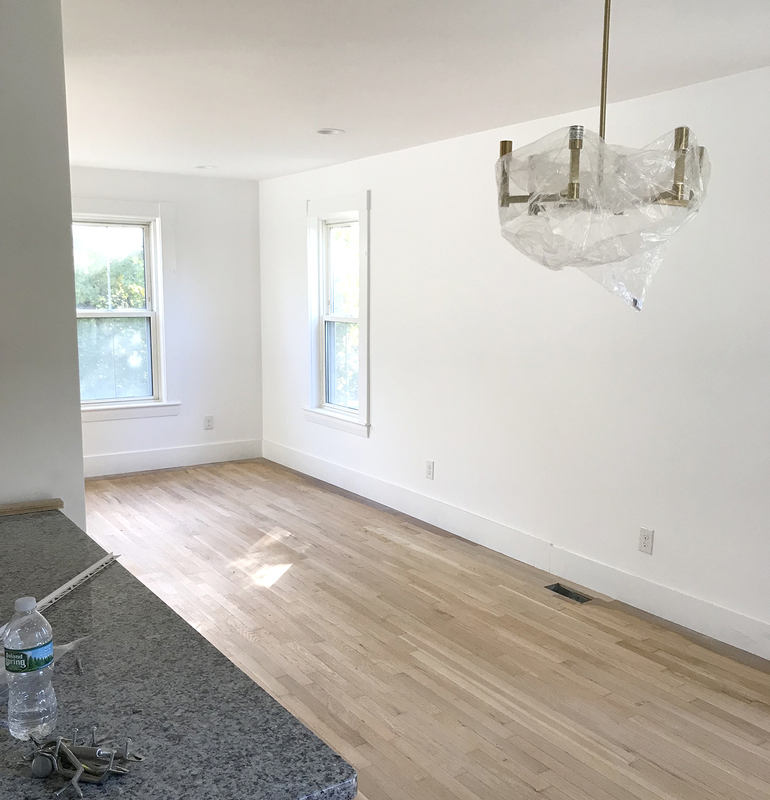 I spend most of my week running around taking care of finishing touches- light bulbs, missing cabinet hardware, mulch, staging.... I also got my hands dirty (literally) for the first time on this house and helped Handy Dad install a fence to hide the new propane tanks that I showed you last week. Considering that's the side you see when you drive up, the propane was pretty unsightly. Now, all you see is yard! My contractor, George, really pulled it out this week. There was lots of hustle that was greatly appreciated! He was even over first thing this morning getting the new shutters up for the open houses this weekend. I haven't seen them up yet, but I'm sure it's a breath of fresh air for the front of this house! 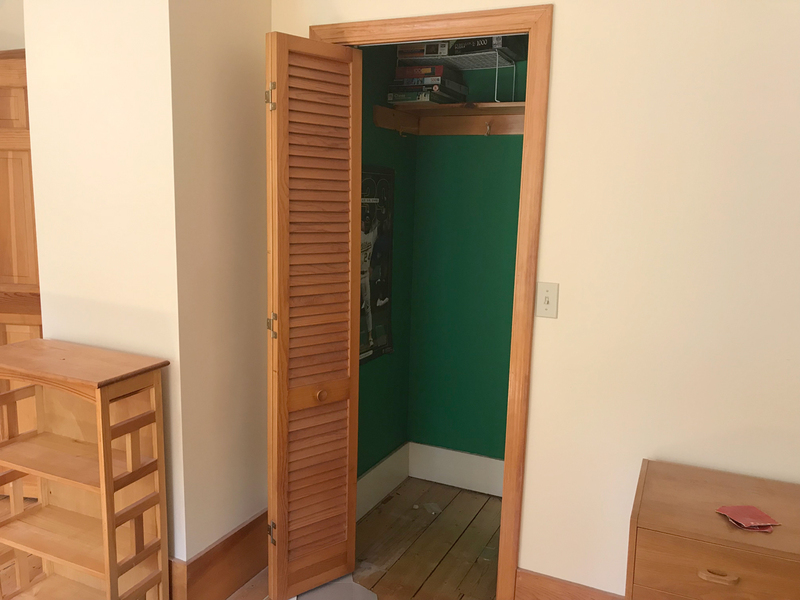 There's still a small list of outstanding items, such as closet poles, but I think the almost 12' of closet in the master will do a pretty good job selling itself. 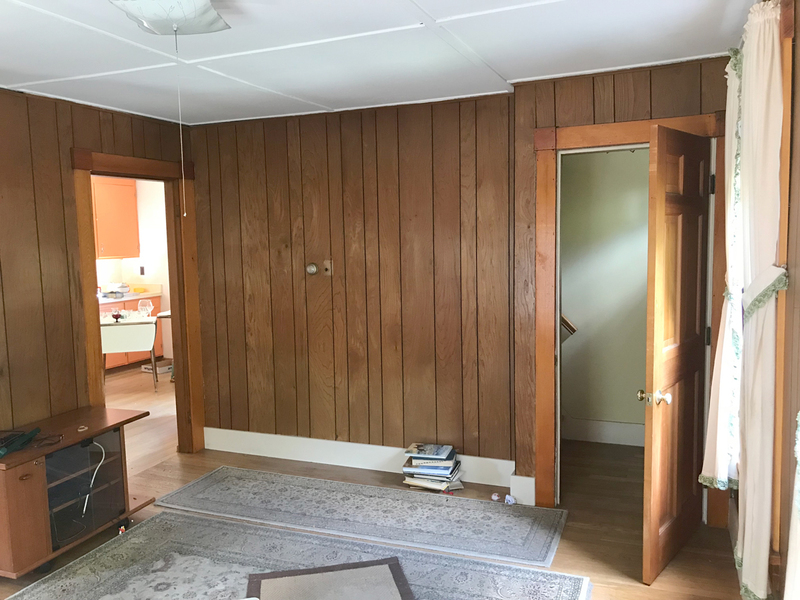 I'm so relieved this house is ready to be sold! 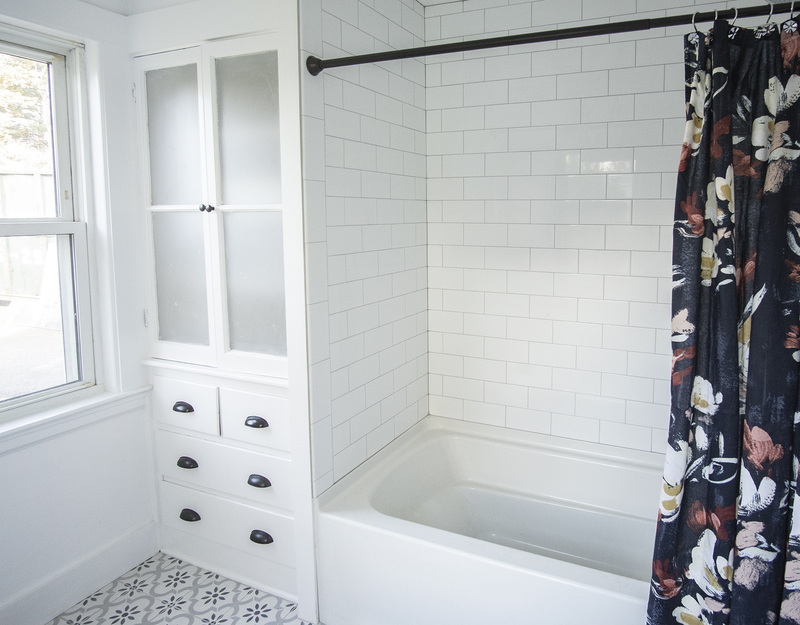 It definitely took self control to hand it over to my contractor- especially not having as much control over subs and budget as I have in the past, but I think the result is pretty darn good! 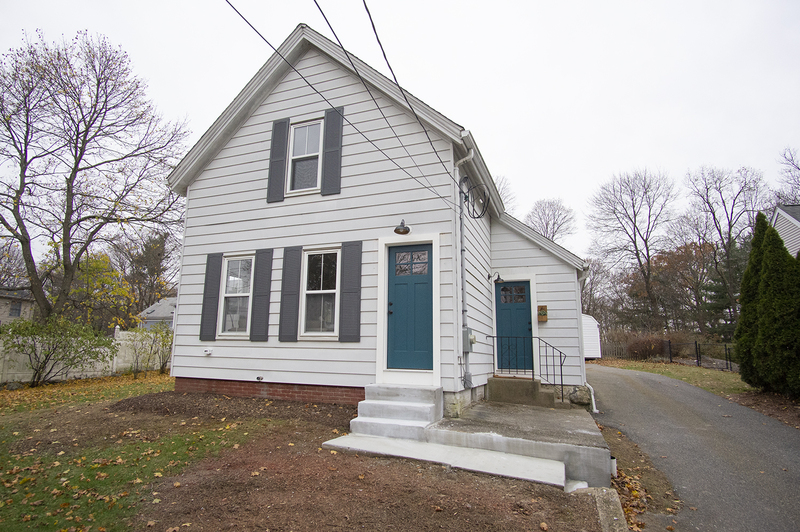 Just think, if you came and put an offer in on this house this weekend, you could be all moved in by Christmas!! Message me or hubby for more info about the listing and next week I'll be sharing the full before and after reveals!! T Minus one week until we hope to list! It's looking like it'll be all buttoned up inside but still have a bit of exterior clean-up to go. 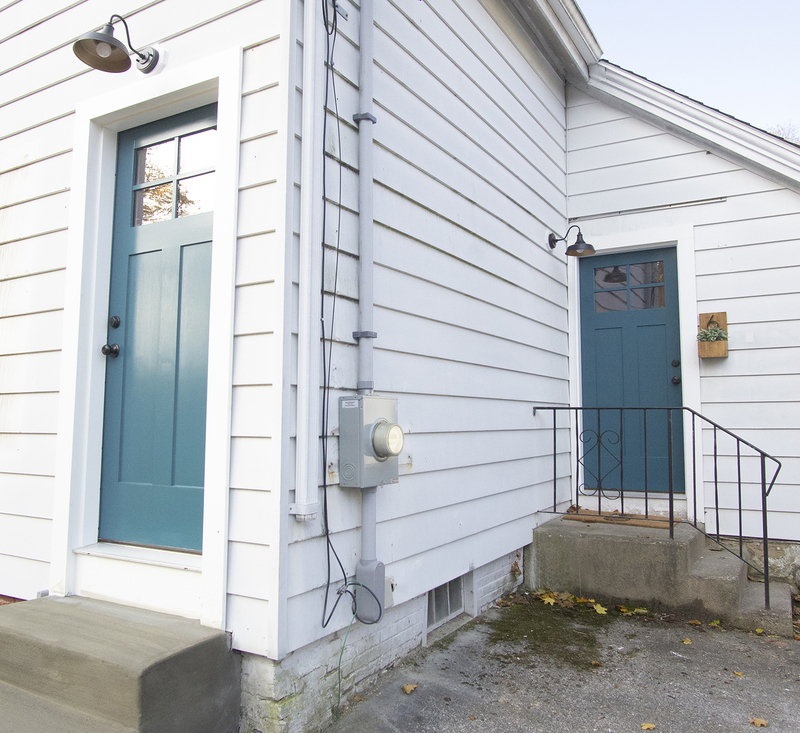 Outside, the doors got trimmed out and look awesome! The old, peeling, dented shutters started coming down to make way for the new shutters that are arriving next week. The stairs and patio will be getting cleaned up and patched a bit as well- hopefully that will be next week if the weather cooperates. It's either been freezing or raining lately. 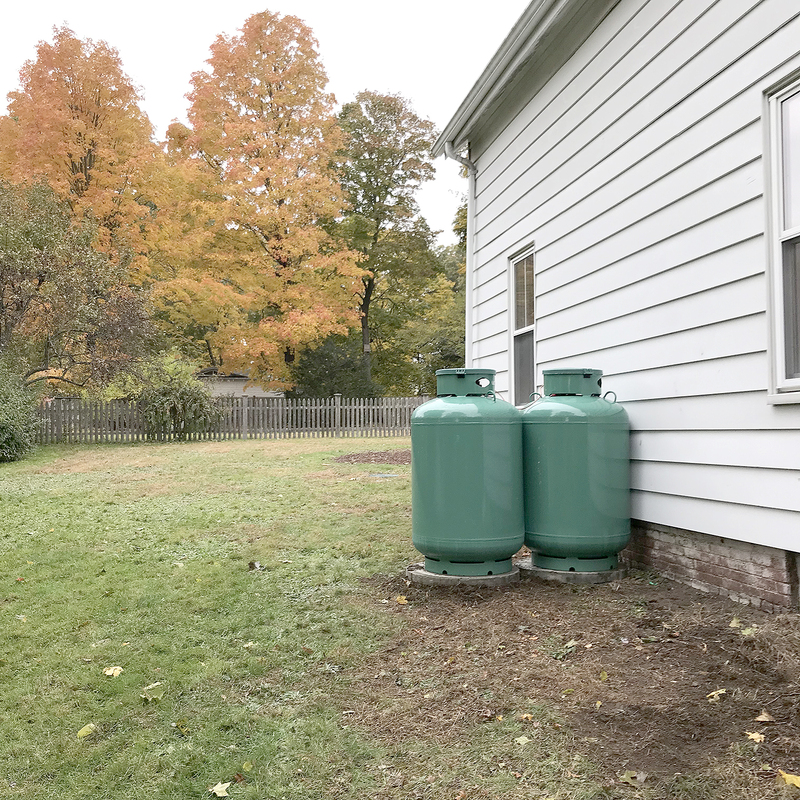 To allow us to FINALLY get heat in this house so, ya know paint will dry, floor poly will dry, and pipes won't freeze, we needed to get propane tanks installed. 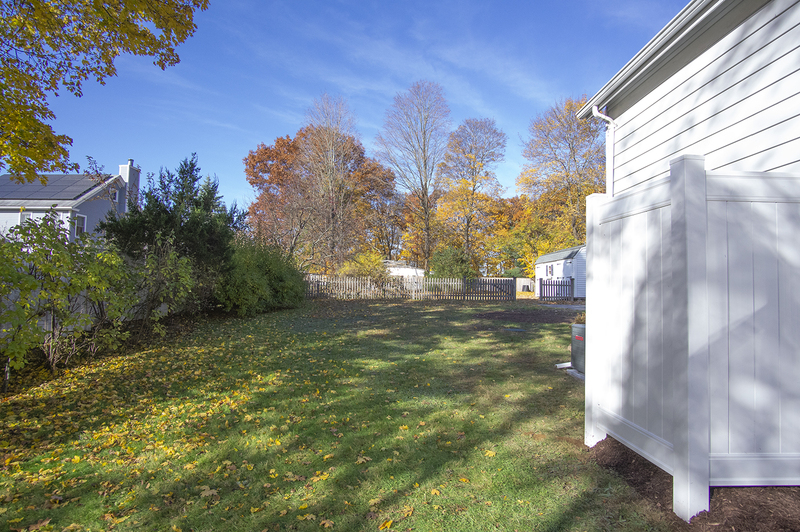 When we installed the new furnace, we ended up venting to the exterior and converting to propane. 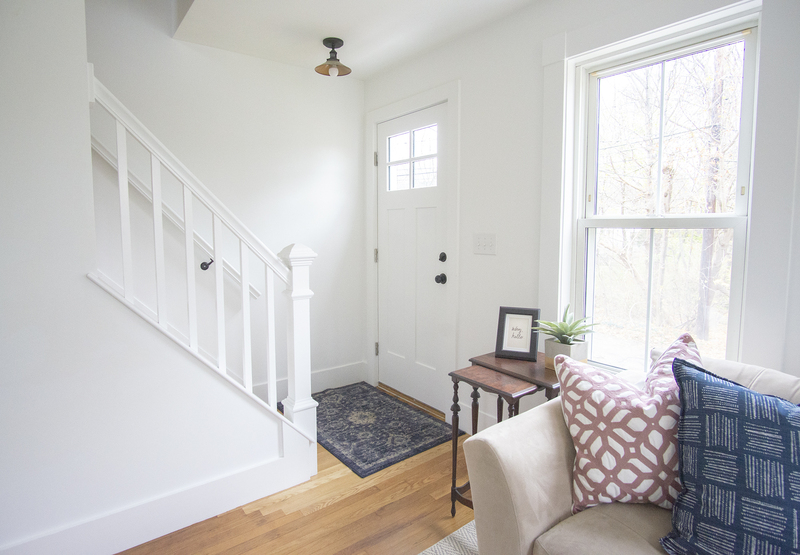 In old houses especially, when updating a furnace, if you elect to have it vented through the chimney (which it would need to be if we stuck with oil), you need to bring the chimney up to current codes which usually means costly lining and other updates. By venting the new furnace outside, not only is the heating system more efficient, but we don't have to touch the chimney! We just have to deal with these propane tanks outside since there's no gas service available to the house. Don't you worry, however, next week we should be installing a fence around them so they won't be so in your face! Meanwhile back inside, did I mention that we have heat?? It's been a long time coming! That means good news for floor refinishing because the floor coatings will actually DRY! I have a thing for hard wood floors. The older the better. I don't understand wall to wall carpeting. There has been quite a bit more going on, but it's a lot of detail work at this point that really wouldn't be evident in some of the progress pics. I'm very excited for one detail element that I'll be bringing into the dining room, though! 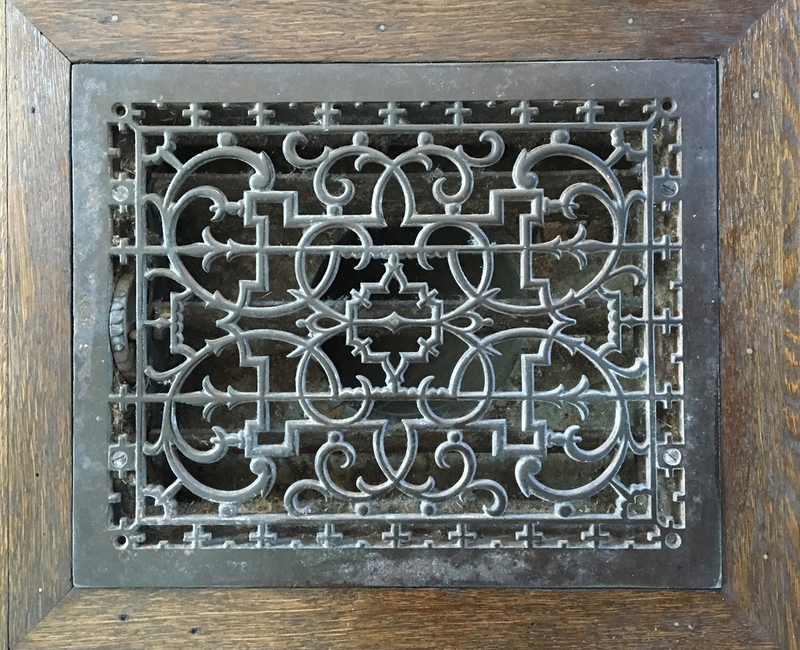 A remnant from Shorty- a heating grate- will be making an appearance if we can make it work! We removed a heat grate in Shorty's kitchen and you know I couldn't bear to part with it, so it has been sitting in my storage unit waiting for a new home. It was dirty and rusty and needed some love, but it's cleaning up nicely! I don't have a pic of the rusty, dirty grate, but I do have a pic of one that stayed at Shorty and this one is the exact same style. I can't wait to see it a part of this house!! With my mostly hands off approach to this house, I'm going to be biting my nails in anticipation for all the details to be buttoned up! Staging furniture is getting delivered hopefully early next week, so it's full steam ahead!